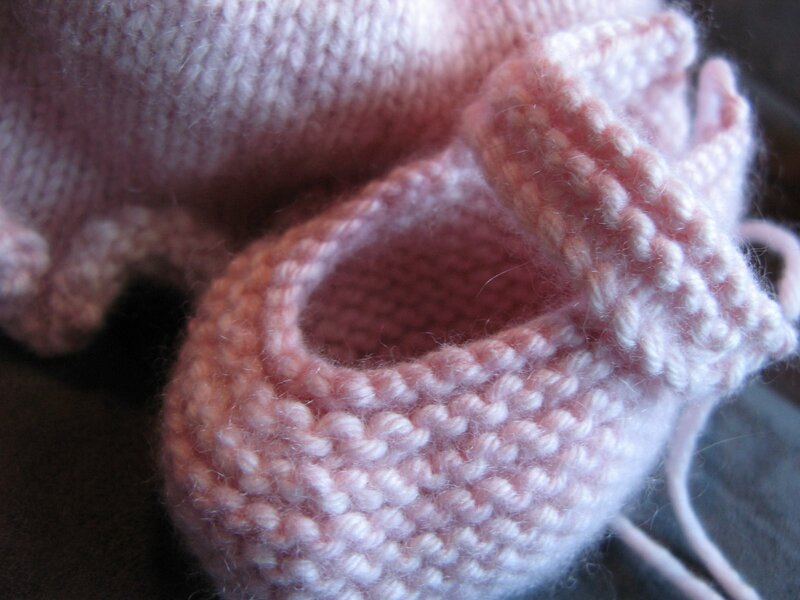 Baby Booties Coming Right Up! Make: Basically you add a backwards loop and “make” a new stitch. This helped shape the toe to give that rounded appearance. Thank you knittinghelp.com for the excellent video! Cable Cast On: This allowed me to make the strap by casting on using only one piece of yarn. It was tricky to figure out. I kept trying to do it on the wrong side of the needle, after I figured that out, it went pretty smoothly. I ended up using a crochet hook as noted on the side of the knittinghelp.com website which made the cast on much easier. Joining Yarn: I haven’t had a lot of practice joining yarn, but again, knittinghelp.com came to the rescue. Now to find some really cute little buttons…. any suggestions?